Zoya Akhtar reveals what inspired her to make Gully Boy. HomeZoya Akhtar Zoya Akhtar reveals what inspired her to make Gully Boy. Zoya Akhtar who has been ahead of her times with films Luck By Chance, Zindagi Na Milegi Dobara, and Dil Dhadakne Do is now all set to rule the box office with her upcoming film Gully Boy which is slated to release on 14th February. Gully Boy is a story inspired by slum rappers of Dharavi, Gully Boy has gone ahead to create an immense buzz amongst the masses. The trailer, the music and now the early reviews post its screening at the Berlin Film Festival has created a lot of anticipation for this Zoya Akhtar's film. The first reviews of the film from Berline Film Festival have had Zoya Akhtar's directorial along with critics giving a green signal to Gully Boy. Talking about the same, Zoya Akhtar shared, In 2014, when I was editing Dil Dhadakhne Do, my editor Anand Sobhaya actually showed me a video of an artist called Naezy who was like 21year old. He had put up a song called Aafat and that's the first time I actually saw really authentic, what now is called gully rap. It was just stuck in my head, from that moment till now, it just been a journey it just took me where I am now. Over the years, Zoya Akhtar is known to treat the audience with strong male character driven film which has slayed at the box office along with critical acclaims. 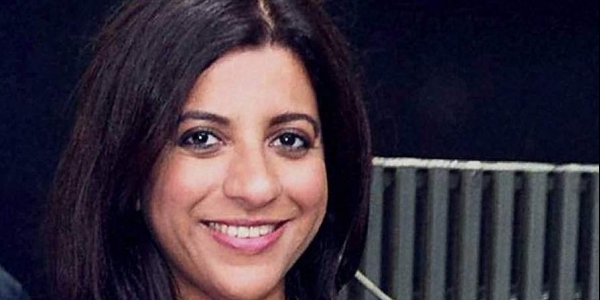 With a journey of four feature films, two short films, and one web series, Zoya Akhtar is one of the leading filmmakers who has carved her niche into the entertainment industry.